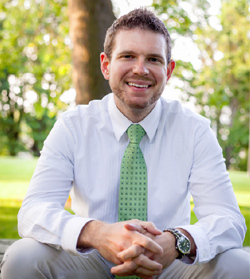 Timothy Miller ND, MAc, LAc, RA is a naturopathic physician, licensed acupuncturist, and registered aromatherapist. He titles himself as a “Chemistry Nerd” and believes learning should be fun, making every attempt to engage his students in a profound and meaningful way. We look forward to learning what Dr. Tim has to teach. Roll up your sleeves and get ready to see chemistry in a whole new light! Dr. Tim is going to show you how fascinating AromaChemistry is and how you can use chemistry in a profound and impactful way. We will revisit some of the basics of chemistry, as well as explore functional groups and their generalized therapeutic indications. We will outline some of the most important and juicy chemistry details so that you, the aromatherapy practitioner, can enhance your aromatic practice and deepen your understanding of chemistry and AromaChemistry. It can be frustrating when our aromatic interventions aren’t effective. Aromatherapy works, of course, but what tends to be missing for many aromatherapists is a holistic and deepened understanding of how the body works. Pharmacokinetics is often one of the missing links. Pharmacokinetics is of crucial importance to those seeking to fully understand the therapeutic dynamics of essential oils. Pharmacokinetics is how the body interacts with essential oil components and how these compounds are metabolized and excreted from the body. It is a vital aspect of aromatherapy and can enable practitioners to maximize the effects of their treatments. For instance: did you know that carvacrol, a key compound in essential oils such as oregano (Origanum vulgare), is excreted rapidly in the urine making it strongly indicated for urinary tract infections? Did you know that thymol, found in essential oils such as thyme (Thymus vulgaris), is metabolized in a way that increases its concentration in the lungs, making it exceptionally potent for lower respiratory tract infections? Pharmacokinetics informs the aromatherapist and can guide the oil(s) and interface(s) which they may choose to use. As a chemistry nerd and naturopathic doctor, Dr. Tim will share practical information to deepen your understanding of Aromatherapy and the science behind it! By combining our knowledge of essential oils with a foundation in pharmacokinetics, we open ourselves to the possibility of a truly holistic practice and empower ourselves to develop safe and effective treatment plans. This course is designed to be a low-pressure, fun learning environment where we start at the most fundamental, basic level for all topics discussed. Absolutely no prior understanding of chemistry or pharmacokinetics needed – we are starting at square one and use easy-to-understand language throughout the course! The BCAOA board is very pleased to announce for those dedicated members who have stood by us through thick and thin, an exclusive registration discount for this event only. Members who have been in good standing for 10 or more consecutive years with the BCAOA or the BCAPA will receive a 50% discount off their registration! Members who have been in good standing for 5-9 consecutive years with the BCAOA or the BCAPA will receive a 25% discount off their registration! Act on this as soon as possible if you want to stay here. Approximately a 5 minute walk to Convention Centre. Rates are based on single/double occupancy, net non-commissionable and quoted in Canadian funds. Rates are subject to applicable taxes (15%). The above rates are single/double and from 3rd occupant, there’ll be $10 additional charge up to 4 people maximum. All hotel overnight staying guests will be provided with 15% discount for Breakfast and Dinner at Hotel onsite restaurant. The rates are granted for pre and post conferences up to 3 days. *Free Parking, Free Wifi, Free Fitness/Business Centre, Free Laundry Facility. Note: Depending on how many people use this route we could either hire a mini bus or have people carpool. Is anyone willing to carpool? Please contact Betsy if you need a ride or if you can drive, with the departure terminal (for ferries) or City (on the Island), and the date/ time you are travelling to Nanaimo. We will do our best to connect you to other members that are needing to travel the same route. Please make sure to notify us well a head of time. Lunch and refreshments will be provided to registrants on both days. $120.00 will be non-refundable for any cancellations from March 15th to 29th. There will be no refunds from March 30th to the deadline of April 6th for any cancelled registrations. We realize that some of our members have time constraints and a two-day event isn’t an option for them. These two topics are related and some of Day 2 is built upon the content from Day 1. While we strongly advise that you attend both days to get the most out of your event, we understand that some of you might not be able to come to one of the days. If you wish to register for the second day only, please be aware that you might be behind in the material as there isn’t enough time on Day 2 to go over the content from Day 1 again. $70.00 will be non-refundable for any cancellations from March 15th to 29th. There will be no refunds from March 30th to the deadline of April 6th for any cancelled registrations. Last day of registration is April 6, 2019 at midnight. There will be no refunds after March 30th.